When disaster strikes, speed saves lives. 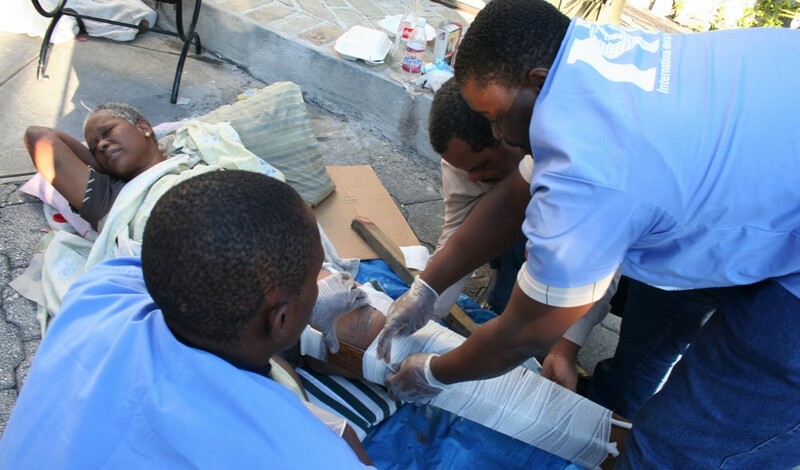 At least 85% of survivors requiring critical care will be rescued within the first 72 hours. But that’s exactly when the local hospitals are most overwhelmed and understaffed. That’s why International Medical Corps now maintains a portable field hospital that can arrive anywhere in the world within 24-48 hours. 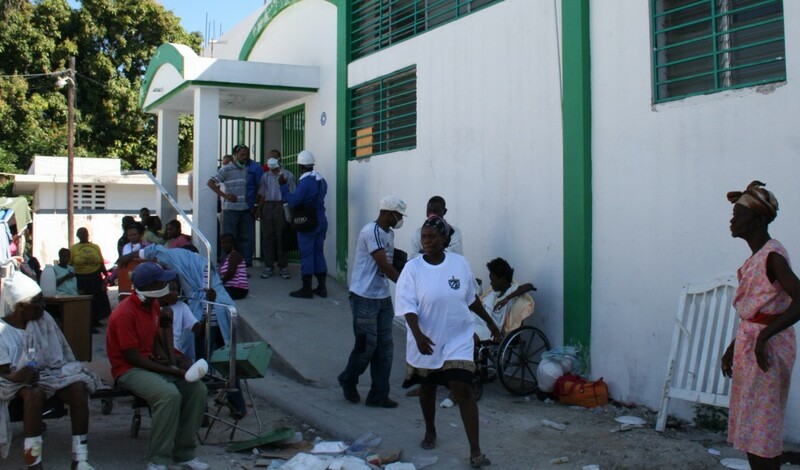 The hospital can be operational within 24 hours after arriving in country, and is designed to operate with minimal support from the affected community. 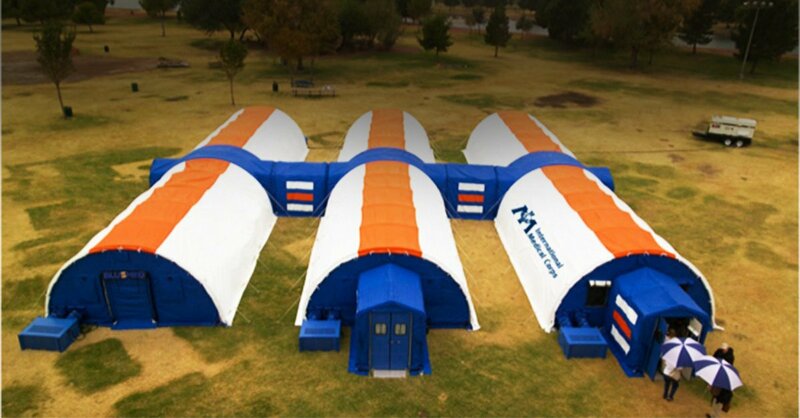 Ranging from a two-person surgical trauma advisory team to a full-scale, surgical field hospital with attendant mobile medical triage teams, International Medical Corps can customize the field hospital for small-, medium-, or large-scale responses. 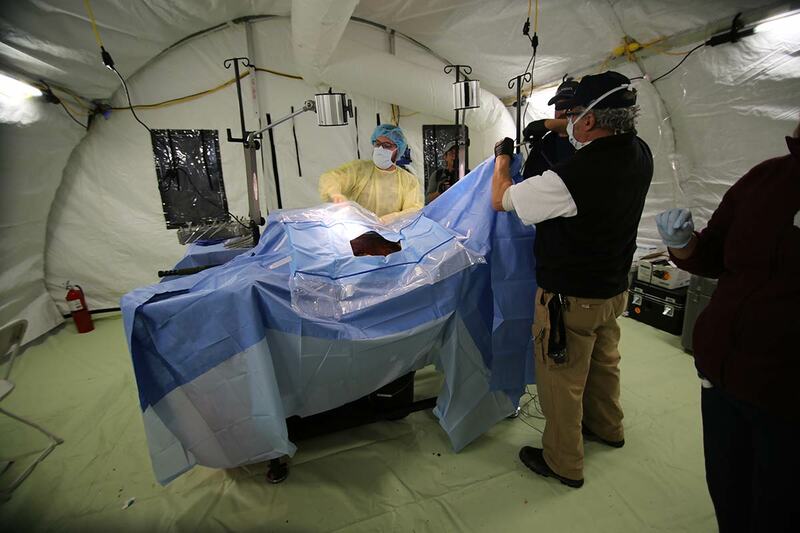 Doctors and nurses perform surgery as part of a disaster simulation inside the portable field hospital. 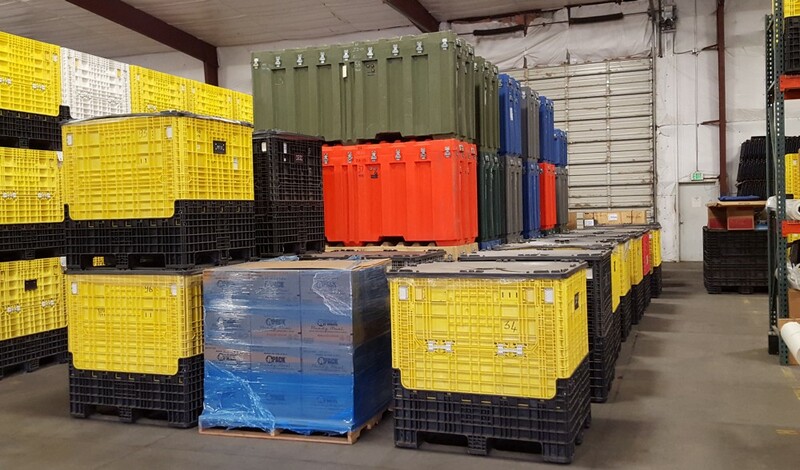 The field hospital is a self-sufficient and self-contained entity with the capacity to meet the immediate trauma and surgical emergency needs of the affected population for a month, and can be extended up to three months should circumstances require it. During a simulated drill, a “patient” is carried into surgery. 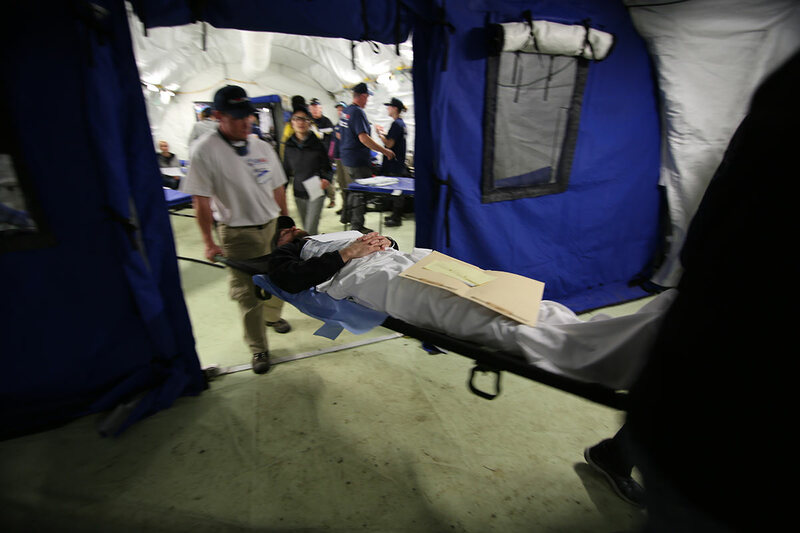 Our portable field hospital helps International Medical Corps be first there, no matter where, saving lives when disaster strikes.